Is the hot weather roasting you like a rotisserie chicken? An air conditioning unit can help you during those hot days. However, let’s face it, not everyone owns an air conditioner. And even if we do, some of us cannot afford to keep it running the whole day. But don’t despair as I have compiled a list to help beat the heat. When the sun is at its highest and temperatures are rising, close your curtains and blinds to block out thermal energy. Depending on the position of your windows, this period may range from late afternoon hours to morning hours. A thick curtain or window shade may completely block out natural sunlight and thus prevent your home from heating up. Consider investing in blinds that allow some sunlight to penetrate through the overlapping slat so that you do not have to turn on incandescent lights that contribute to heat buildup as well. Ceiling fans: These are common fans and are great at cooling houses on hot summer days. They are amazing for helping air circulate in your expansive room and for driving stuffy air out. Quality ceiling fans can cost a couple of tens of dollars or even hundreds of dollars depending on their power, blade number, style, and size. Make sure you get a fan that suits the size of your home. If your room is expansive, then you will need a larger fan. Tower fan: This is a large upright fan that cools air by using an internal rotating cylinder to move air efficiently and quickly. Many tower fans come with an air filter and thus will not only clean but also refresh the air as they run. A tower fan may just be your best friend if you suffer from allergies related to heat and stuffy air. Window fan: For people who have a low ceiling, are short on space, or just don’t want to see a fan, window fans will be a great addition to your home. They keep your room cool and can easily be moved to any room that has a window view. They are mounted on the window and are portable. They can be used to draw in fresh air from outside or push stuffy, hot air from the inside. They are relatively cheap and can be stored easily. Fire up your grill, eat out, or make a salad. Your cooking devices, such as ovens, heat up your house as they cook food. Running your laundry machines and dishwasher contribute to heat gain. Limit indoor activities to the cooler times like mornings. Minimize midday washing, showering, and cooking to reduce indoor humidity. If you must do these activities during the day, keep your windows open and turn on the ventilating fan to drive warm, moist air outside. However, when you are done, turn them off to avoid extracting cooled air from your home. This will reduce glare and keep your house cooler. It will also block the ultraviolet rays that damage floors and furniture from penetrating inside your house. For hot climates, use films that have sun-control. However, keep in mind that they will reduce the amount of light coming from your windows. This is a long-term solution to make towards ensuring your home stays cool naturally. Deciduous trees, in particular, are good at defending your home from sun rays, especially if they are planted on the east and west side of your home. You might need to plant them near the walkways, driveways, or air conditioning units, to help keep them cooler. While trees will take a couple of years to grow and become effective at cooling your home, they are a great way to add natural beauty to your home. 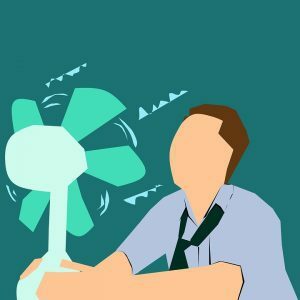 These are only some of the many ways you can use to make your home cool without using air conditioning unit. Implement the ones you will find applicable and those within your budget range.